Sam Dryden is a house builder. At least he becomes one as the series gets underway. It is how he earns a modest living and keeps his mind and body busy so he does not have to think too much of a terrible accident that years before claimed his wife and child. It ended his idyllic situation and left him with little to look forward to and less to care about. That will change somewhat as the adventures unfold but as they start, he has no great interest in anything. That was not always the case. Before meeting his wife and settling down with her to start a family, he had a lot of interesting things to think about, though talking about them would violate quite a few security laws. His past was filled with a considerable amount of excitement and challenges and he loved it a great deal. It would only be a stronger love for his wife that would take him from it. Straight out of high school, Dryden joined the Army to find action and a challenge. He found both when he was accepted into the prestigious Airborne Rangers and then a bit later, the even more selective Delta. The training he got was impressive and varied, from how to survive in any wilderness to how to HALO jump into those same remote areas and get out again. He was truly one of the best of the best. That is where his official record goes very dark for a fair number of years. There is no record of what he did and who he di did it for, although since the record was the American Intelligence community, there is no doubt who was behind his activity. From age 24 to 30, he did whatever it was that no one talked about. Then he met his wife, found more important things to do, and was happy. He got a teaching degree and a job doing that. Then his wife and child die in a car crash and he dies inside. He gives up his job. He takes a few low-rent security jobs to occupy his time. He survives, and that is about all. Five years of survival will pass before life presents challenges to bring him back from limbo. These challenges will be stunning in complexity and strangeness and will task his talents to their fullest. They will also challenge the reader with incredible speculation of what-if and boy-I-hope-not. Out for a jog in the middle of the night, Sam Dryden is literally run into by an 11-yr old girl fleeing some very nasty men. On an whim he elects to help her and winds up between two deadly government contractor with some very powerful friends and a major desire to see the girl, and Dryden, dead. A close friend from his military days sends an SOS to him. Answering it, he finds a considerable number of people determined that his friend die and since Dryden is with her, he must go as well. The secret they are protecting can, and truly does, affect the future. I was a fan of Patrick Lee's other series in this compendium, Travis Chase, but nowhere near as big a supporter as I am of Sam Dryden and his adventures. I started the first one and did not stop. I read before work, during lunch, after work and late into the evening. Then the book came to a terrific and exciting end and I got some sleep. The next day, I started the second book and cycle was reborn. As good as the first book was, and it was really good, the second was even better. I did not want it to end and I desperately wanted to know what happened next. It was that exciting. Its ending was terrific and quite satisfying and I was very pleased. Except there were no more books! 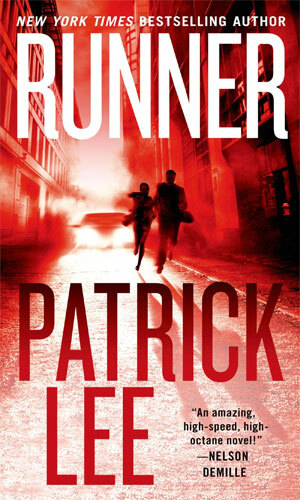 Hopefully Mr. Lee is working on another one but whether it is with Sam Dryden, which I sincerely hope it will be, or someone else, I will be reading it. 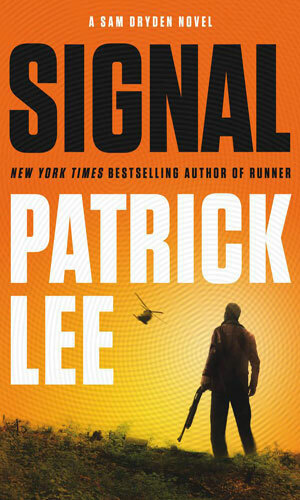 I am a Patrick Lee fan. Having said such words of praise, and meaning them, I must let fellow readers know that this book, like his Chase novels, moves deeply into the speculative fiction realm but it does so with refreshing originality and quite a good deal of dread. He makes the things that happen seem not only possible but likely and then lets the reader see, slowly and gradually, how really bad the technology he postulates could be in anyone's hands. Not just bad guys, and there are more than a few grabbing for these "toys" but also the good guys who poster kids for the "road to hell is paved ..." syndrome. Some things are best not being invented. With that little caveat, I strongly recommend this series for adventure lovers everywhere. Without trying to give away spoilers, the first novel has its surprises in the development of its plot. Te author has presented a typical chase story and then as it progresses he develops twists in the very plot. Once this novel would have been classified as speculative fiction, but now it is definitely thriller fiction because we really don't know what level technology has truly ascended to. Anything is very possible.